My husband and I have been living in Downtown Miami for 3 years…but we have been trying to look at it with a different set of eyes…going to different corners and adventuring into places we have never been- from this rooftop to a cool coffee place. But that’s not it, I’ve been feeling a little more adventurous with my style. It’s been raining non-stop in Miami…the good news? You can still wear these bold heeled rain boots from SOREL. They’re made of waterproof rubber AND have a comfortable heel…such a modern take on the rain boot. I paired them with some leather shorts and a B&W plaid shirt. 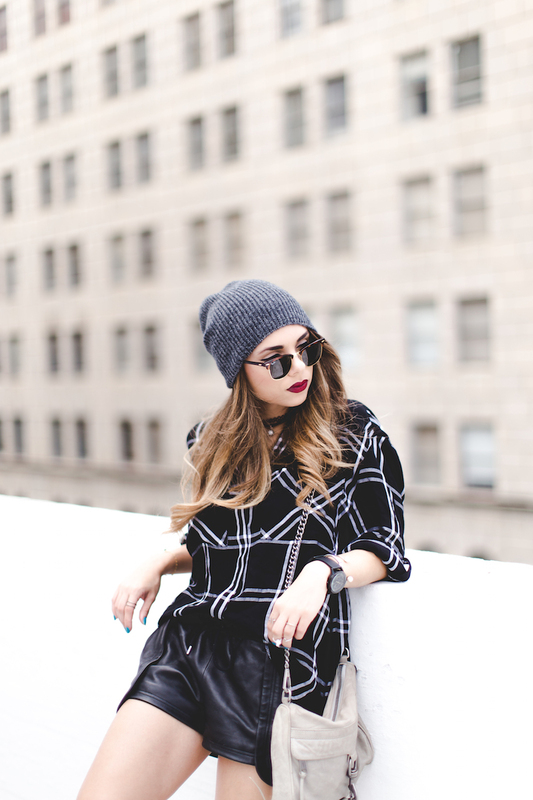 The final touches: a beanie and classic sunglasses. Mi esposo y yo tenemos ya 3 años viviendo en Downtown Miami...pero últimamente hemos estado yendo a diferentes lugares e intentando fotografiar diferentes lugares o desde otro punto de vista. Hemos estado aventurándonos a lugares que nunca hemos ido...como este rooftop, o un sitio riquísimo de cafe. Pero eso no es todo, también me siento un poquito más arriesgada en cuanto a mi estilo. Ha estado lloviendo sin parar en Miami...¿las buenas noticias? Todavía puedo usar estas botitas con tacos de SOREL. Están hechas de una goma a prueba de agua y aparte son super cómodas...es definitivamente la versión moderna de las botas de lluvia. En esta ocasión las combiné con unos shorts de cuero y una camisa a cuadros blanca y negra. Toques finales; un beanie para empezar la transición a otoño y unos lentes de sol clásicos. ¡Qué tengan un feliz día! BESOS. Disclosure: This post was sponsored by SOREL and Style Coalition. All opinions are my own. Amazing boots! You look so beautiful! Estan bellisimas esa botas y las fotos fantasticas como siempre! Love your boots. Great look!! love the plaid shirt! cool look! I adore your style!! Stunning! love the plaid shirt! cool look! Love your boots. Great look!! Very cute! 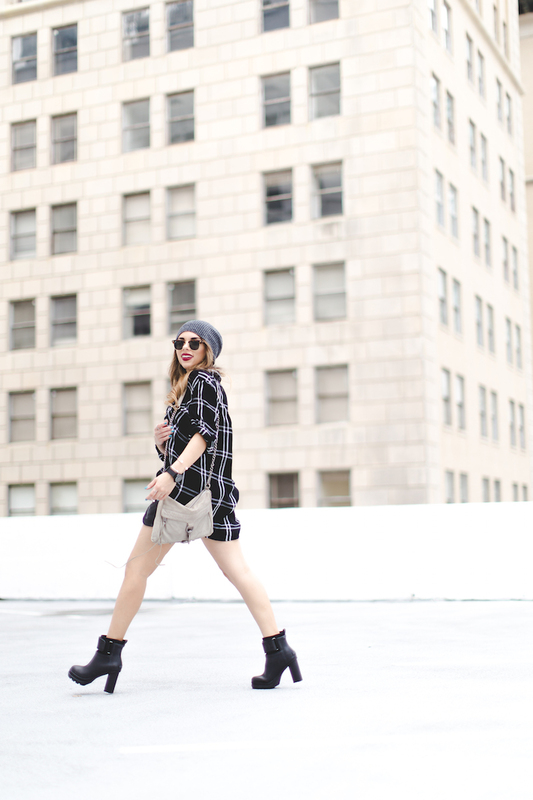 Loving the grid print! I love the modern take on rain boots, what a great idea! You've been killing the edgy looks lately!